Premier shows property that had not been previously declared. 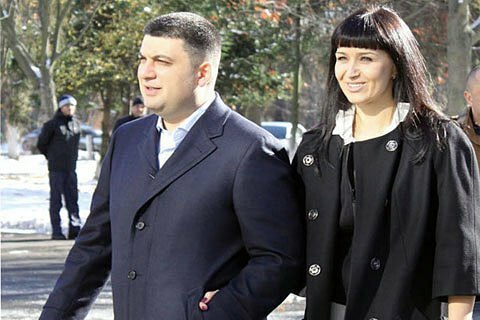 Prime Minister Volodymyr Groysman and his wife declared on 26 October keeping UAH 4m, 1.24m dollars and 460 thousand euros in cash, as seen in their electronic declaration. Earlier, the declaration of such funds was not mandatory. Also, the Groysman's e-declaration showed their ownership of expensive watches: Audemars Piguet, Parmigiani, Boucheron, two Rolex, two Girard-Perregaux, two Breguet, three Ulysse Nardin. Also declared at a number of jewelry: earrings, cufflinks, rings. The e-declaration provides itemized incomes, previously shown in the normal declaration of Volodymyr Groysman, his savings in banks and property owned by him. The prime minister declared owning four land plots of land in Vinnytsya and the village of Bokhonyky, two houses in Bokhonyky, several non-residential premises. In addition, the Groysman family uses a 59.6 sq m family apartment in Kyiv (owned by Alina Burla) and a 61.5 apartment in Vinnytsya (owned by Ivan Burla). All senior officials of Ukraine must submit before the end of October declarations of income and assets through the system of electronic declaration. The authorities are obliged to provide free public access to this data. The implementation of this obligation is an IMF structural beacon.